The Conservatory is a new addition to the building, sandwiched between what was an open courtyard, now is a country styled conservatory. 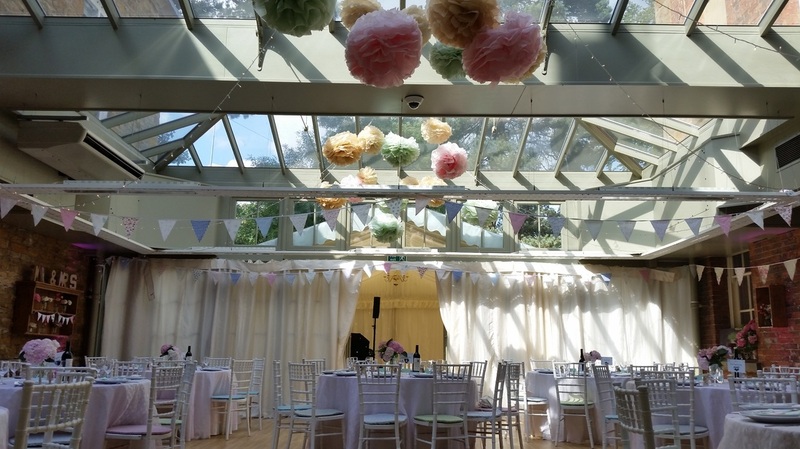 With its exposed rustic stoned walls, and twin peaked glass roof, wood work painted in a farrow & Ball green, the Conservatory offers a perfect setting for the intimate country romanced wedding reception. Our Maximum capacity for the Conservatory is 80 guests for the sit down wedding breakfast. This number may increase to 120 guests for the evening reception.